In Finland, Cullen will follow a prospect generator/farm-out business model as practised by the Company over the past several years in Australia. This is an appropriate and prudent approach which utilises the excellent public geological databases in Finland and the low tenure costs in the early stages of exploration. 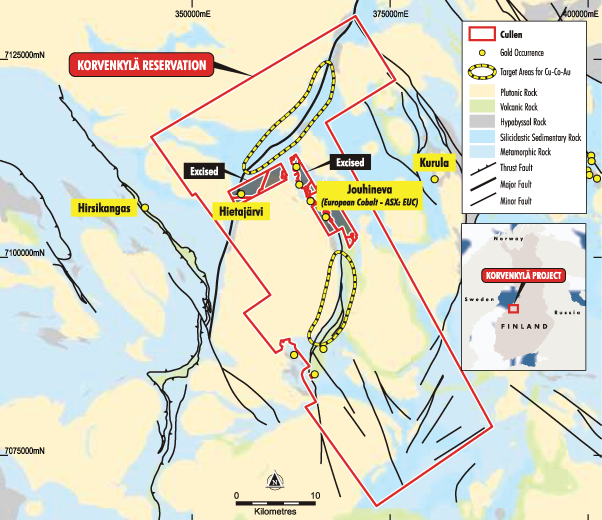 Cullen will focus on exploration for, gold, copper and cobalt and work this year has included a field review, and compilation of available geological, geophysical, geochemical and previous exploration data, initially focusing on the Korvenkyla and Vesikko Reservations in the first instance.